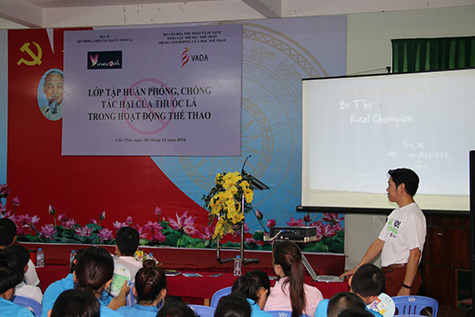 JADA's anti-doping Session Slide in English was translated in Vietnamese and utilized for the anti-doping session to the national level athletes and support personnel in Vietnam. 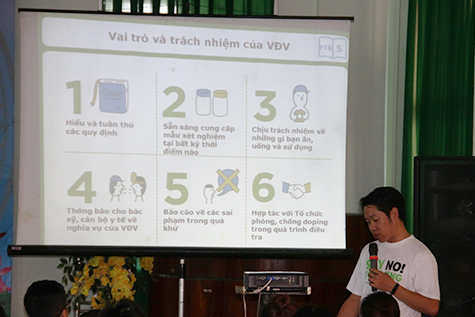 Since the slide has full of illustrations, audience can enjoy to learn anti-doping and the rules. Athletes have been able to update the information about their rights and responsibility, and the 10 violations of the Rules. Athletes also have been notified about the procedures of sample collection.